Friction creates a multitude of issues in a manufacturing environment. 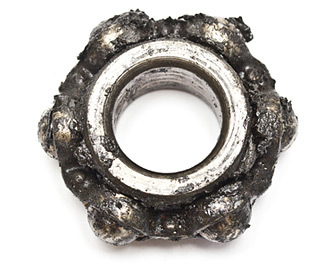 Friction can cause parts to seize, gall, and wear at an accelerated rate, resulting in a loss of manufacturing efficiency, an increase in part fall-out or scrap, high energy costs and shorter maintenance intervals. We offer a variety of coatings that provide extremely low surface energies and can dramatically reduce the coefficient of friction between two dynamic or static components. Endura® is continually researching, developing, and providing the latest in low friction coating technologies for a variety of use applications, which include but are not limited to: packaging equipment, surgical devices, cutting tools, chutes, feeders, and medical probes.